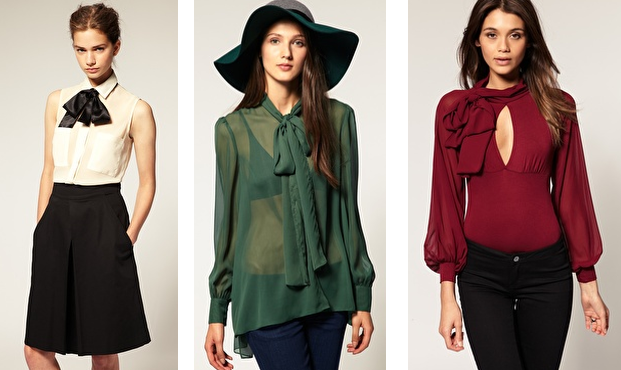 One of my very favorite blouses for fall/winter is the bow blouse. It's a little bit Mary Tyler Moore, a little bit Holly Golightly and a lot adorable. It's a universally flattering neckline and an uber-feminine way to up the ante of your style this season. 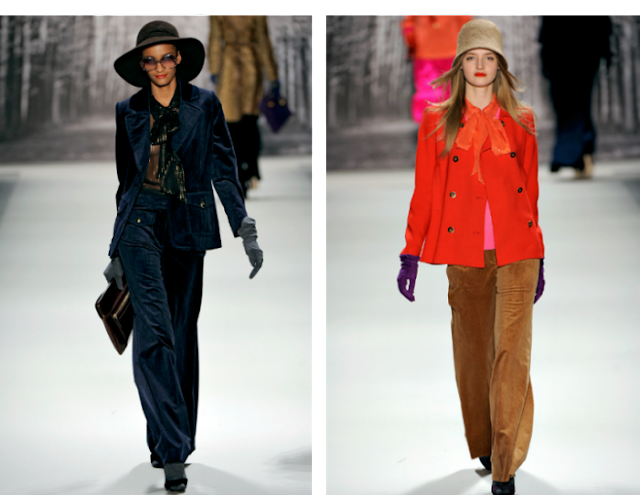 The bow blouse was in bold form at the Milly Fall 2011 RTW show and other designers took note, bringing the trend quickly to main stream. For we budget conscious fashionistas, stores like ASOS and Piperlime have some great, affordable options that will leave you looking hot and your wallet looking fat. -This versatile style of top looks great with both trouser style pants and skinny jeans, as well as the Seventies-style flares we're seeing this fall. -Try pairing it with a structured clutch to keep it from looking too frilly. You want to exude femininity while not looking overly prissy. -Ivory and black are great, but look for bow blouses in fun colors like bright pink and royal purple. The bolder hues are definitely hot-to-trot this fall. As a girlie girl, I love bows. I'm ready to bow it up! I'm definitely ready to bow up. I love that look. 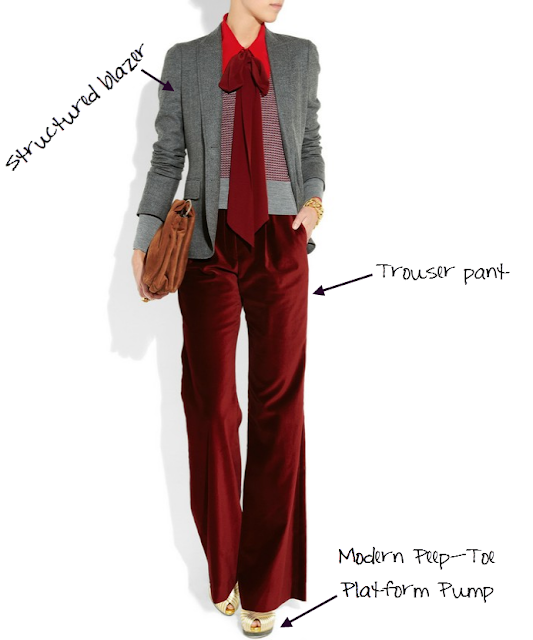 You should check out one of my fave fashion bloggers ... she loves bow necklines. Her blog name is Miss Melissa. I think her site is missmelissa.com, but I could be wrong. If you'll excuse me, I'm off to go find some bargain bow shirts. LOVING the Bow Blouses!! Not sure I could pull it off, but it's just adorable. I'm a fan! I'm such a girly girl and pearls, flowers and especially bows are right up my alley. i was looking in my mom's closet the other day and found a shirt that looks exactly likethe purpple true royal blouse pictured in this post. it's so funny how old styles come back into fashion again! I love so many of those shirts! They are so cute!! I'm in love with the bow blouse trend! Thank you so much for the post- I've been dying to find these. I am LOVING this look - so cute! Found you via Emma and Smith! I just love finding out about other local bloggers! !